Rev. 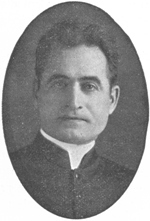 John J. Farrell, CSV, died Dec. 13, 1932 at St. Mary of Nazareth Hospital in Chicago after a lingering illness. He was 49. Fr. Farrell was born Aug. 24, 1883 in Chicago. His father died when John was quite young and he spent his youth working to help support his mother and family. Wanting to become a priest, he found encouragement from Msgr. William Foley, pastor of St. Ambrose Church in Chicago. Thanks to Msgr. Foley, young John entered St. Viator College in Bourbonnais in 1908 and after completing the classics, he entered the novitiate on Oct. 8, 1910 at St. Viator Normal Institute in Chicago. Fr. Farrell professed his first vows on Apr. 8, 1912 and his perpetual vows on Mar. 13, 1918. After completing the philosophy course at St. Viator College, he received a Bachelor of Arts degree in June of 1914. He was ordained to the priesthood on Mar. 16, 1918 at Holy Name Cathedral in Chicago. After ordination, Fr. Farrell taught English, religion and history at St. Viator Academy in Bourbonnais. From 1921-1926, Fr. Farrell served as an assistant at St. Viator Parish in Chicago. He then served as chaplain to a congregation of women religious in Palos Park, where he remained for three years, before returning to St. Viator Parish. In March 1932, Fr. Farrell underwent a serious operation in Rochester, MN, but he suffered a relapse in September and was confined to bed at St. Mary of Nazareth Hospital until his death. The body of Fr. Farrell laid in state from Dec. 14 through Dec. 15, before funeral services were held Dec. 16 at St. Viator Parish in Chicago. The solemn requiem Mass was celebrated by Mgsr. William Foley, pastor of St. Ambrose Church and his lifelong friend and benefactor. The Rev. 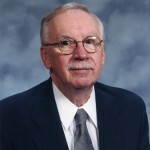 Gregory A. Galvin, CSV, who worked for many years with Fr. Farrell, paid an eloquent tribute to the memory of his departed friend. About 200 priests from Chicago, Rockford, Peoria and Springfield and several hundred from the laity attended, serving as testament to the love and esteem in which this kind and zealous priest was held. Fr. Farrell was laid to rest with his departed confreres in Maternity BVM Cemetery in Bourbonnais. The Rev. 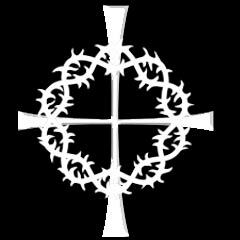 Walter J. Surprenant, CSV, gave the absolution at the grave.